This event is free and open to the public. Flyer is attached. Come out and support Lane Tech’s first ever Media Comp Mix Off. Students from the Media Computation classes have been working hard on creating their songs and will be having a head to head competition in the cafeteria after school on June 2nd. After the classroom battle rounds, six students will have emerged to go head to head at the main event and YOU’RE INVITED! 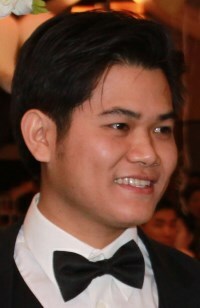 Come out and vote for your favorites and support your fellow computer science classmates. Freshmen, looking for something to do this summer? Check out these amazing summer camps! Get ahead of your fellow classmates and come in next year ready to rock! And you can bring your younger siblings too. Show off your projects, teach a workshop, or lead a demonstration – there are lots of ways to participate. They are also looking for volunteers to support the planning efforts and on event day. Students around the nation are realizing new ways for impact and change through the Maker movement. 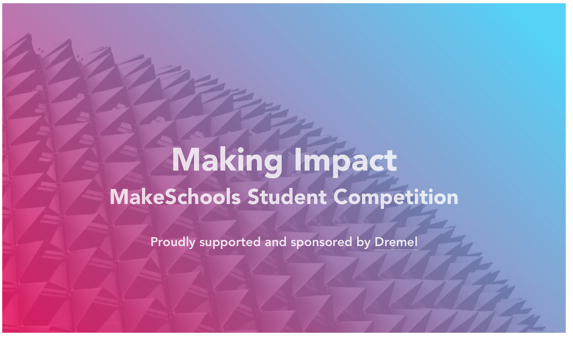 To highlight this, students are invited to submit a project they’ve created that is ‘Making Impact.’ The best project will win an awesome Maker Kit from Dremel. How are you Making Impact on your campus, in your community or in the world with Making? Students are invited submit one Maker-project prepared in the last year that addresses the theme above by May 31, 2015. Projects can be collaboratively or independently prepared. Each project should include a short video and a description of it’s development and outcomes. Winners will be announced during the Week of Making in June 2015. The winning project will receive a Dremel Maker Package which includes a Dremel Idea Builder 3D Printer, Fortiflex Heavy Duty Flex Shaft tool, the 8050 Cordless Rotary Tool, the 4000 Corded Rotary Tool, a VersaTip Butane Tool, a Dremel VersaFlame Butane Tool and the Dremel Saw-Max MultiSaw! Two runner up prizes (more awesome Dremel tools and products) will also be awarded. Our thanks to Dremel for kindly sponsoring and supporting student makers and this competition. The Skokie Library (a few blocks west of the Oakton Yellow Line stop) and I are hosting a Teen Appathon on Saturday, May 30 from 9-6. Designed for high school students, the event will be similar to a civic hackathon with a focus on creating or prototyping apps to help the community. We’re looking for programmers, design kids and people with good ideas. The event is FREE and we’ll have bagels, pizza, snacks as well as awesome prizes (Sphero 2.0, Sparkfun Inventors Kit, 2 Chromebooks, a visit to Stel’s office!). Please help spread the word and encourage students to register to register by May 20. http://skokielibrary.info/events/2079/community-appathon If they don’t have Skokie library cards, they are still welcome to attend. They’ll need to call the contact number on the reg. page rather than complete it online, though. LMK if you have any questions about the Appathon. I’d love to see some of your students or kids there. And if you’d like to pop in during the day, let me know that, too.